Find the product/s you wish to purchase and add them to your shopping cart (your shopping card must total over £300 to qualify for finance). 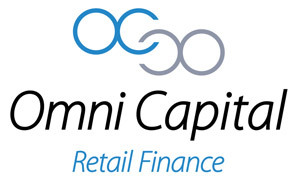 Checkout as normal and at the Payment Method section select “Omni Capital Retail Finance”. You will then be given the option to choose the loan term (12 to 60 months). You will then be re-directed to Omni Capital to apply for your finance. Once approved you order will be confirmed and prepared for dispatch.